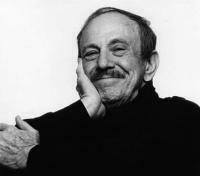 CHICO O'FARRILL, who has died in New York aged 79, was born in Havana on October 28, 1921. His father was Irish and his mother German. As a teenager, he quickly fell in love with American jazz and took up the trumpet, taking lessons from the Cuban composer Felix Guererro; later serving his musical apprenticeship in several leading Cuban dance bands. He moved to New York in 1948, where he began to experiment by combining his native Cuban music with modern jazz. Together with others, following the same line, including the bandleader Machito, this resulted in a sub-species of jazz that became known as Cubop. In 1957 he moved to Mexico City, where he wrote The Aztec Suite, featuring Art Farmer on trumpet. Back in the United States again in 1965, he took a job as musical director and arranger for the CBS television programme "Festival of the Lively Arts" , employing, among others, the talents of Stan Getz, Dizzy Gillespie, Count Basie and Gerry Mulligan. In 1974, he wrote the score of the album Chapter Three: Viva Emiliano Zapata for the Argentinian Gato Barbieri, worked with Count Basie and Stan Kenton, and on further projects arranged part of David Bowie's album Black Tie, White Noise. Chico O'Farrill's albums Pure Emotion, written in 1995 and Heart Of A Legend, composed four years later, were both nominated for Grammy awards. Almost until his death, he appeared once a week with his own 18-piece orchestra at new York's Birdland. Chico O'Farrill is survived by his wife, Lupe, a daughter, and his son Arturo Jr, who continues to lead the Chico O'Farrill Orchestra.